Spring (April/May) – A crabgrass fertilization is placed on the lawn in order to refresh and replenish nutrients that have been depleted from winter stress. Early Summer (June) – Granular fertilizer is placed in order to replenish the food reserve while enhancing the density and color. The fertilizer with broadleaf weed control is also used to treat any weeds that may be emerging. Late Summer (August) – Granular fertilizer is carefully applied in order to restore nutrients while encouraging new root growth. Fall (September/October) – A liquid broadleaf weed control that contains high nitrogen granular fertilizer is applied in order to promote fall root development as well as nutrient storage for survival during the winter months. Koch Kuts is the right choice for the care and maintenance of any size turf – residential, commercial, or sport. Not all turfs are the same, some are at a higher risk for weed growth and others have increased soil compaction due to high foot or vehicle traffic. We cater to the specific needs of your grass and soil by customizing a turf management plan that ensures a healthier, stronger, more resilient turf from the ground up. Weeds not only take away from the aesthetics of your turf, but they steal the nutrients your grass needs to grow strong and beautiful. That’s why weed control is at the heart of any turf or lawn care maintenance plan. We’ll help you properly control both single seed leaf weeds and broadleaf weeds – crabgrass, dandelions, and the like will be no match for your turf after Koch Kuts has properly fertilized and cared for your landscape. Helping to prevent weed growth and strengthening your lawn, our professionals will provide core aeration services as necessary too. Removing small soil plugs from your turf, we allow more water and oxygen to reach the roots of your grass. Benefits of core aeration include: reduced soil compaction, better feeling and looking grass, and heightened thatch breakdown. We can also provide mowing and any other special landscape services as appropriate for your turf needs. Give us a call to learn more today! 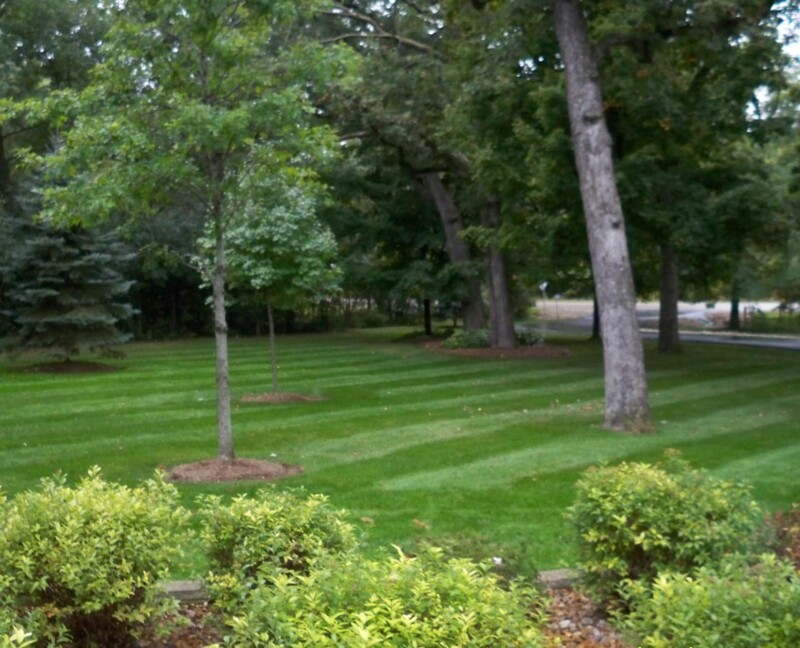 Koch Kuts Landscaping & Maintenance offers premier landscaping services for all of your turf management needs. Our experienced landscaping staff delivers exceptional turf management services for your residential or commercial property. We can provide you with a free quote so you can get the quality landscaping services you need. Contact us for more information about our services by calling us at (262) 534-9509 today.